We always get asked “how many people can I fit in my marquee/courtyard/backyard?”. This question is easy to answer if you have a huge back yard or tennis court to work with. So what about the inner city town houses ever shrinking back yards – are they still suitable to host a party. 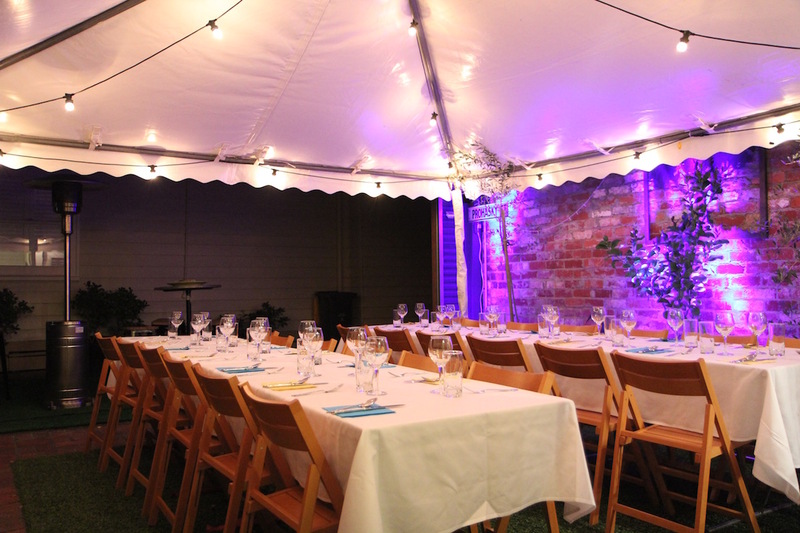 This party in St Kilda shows that even with a little courtyard you can still entertain all your friends. Celebrate Party Hire provided a 4.5m x 4.5m marquee plus all the furniture and trimmings. 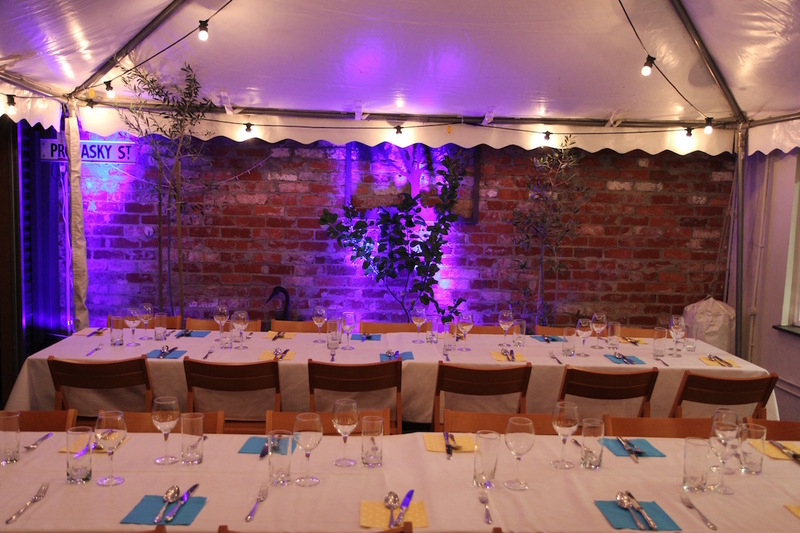 The party was for 28 people seated for dinner and the space was comfortably big enough. The natural timber chairs, festoon lights and Par Can Up Lights all complemented the rustic brick wall surrounding the courtyard. 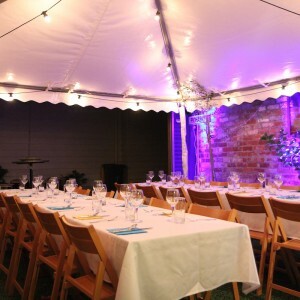 We specialise in marquee hire all over Melbourne, with a special focus on weddings and engagements. 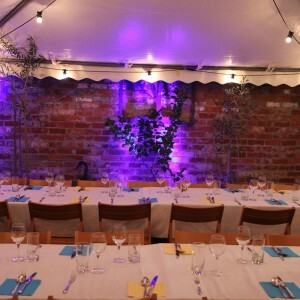 We can cater for all size events and we especially love the challenge of working in a tight space – so give us a call to arrange a free quote.